Why the business name change? I have had several people that know me ask why I changed my business name, and more specifically - why "nutritionist" instead of "dietitian" in the name? First the overall change: "Libby's Fit Nutrition" was the name I set up when I started my practice and I had a very different clientele. I was working with mostly stay-at-home-moms and middle-aged women on getting fit and healthy and losing weight. I was/am a personal trainer and was incorporating fitness into my sessions. As my business and passions evolved into exclusively working with disordered eating that name didn't fit, and worse, was triggering to some people. A new name was needed, but I didn't want to pigeonhole myself into one niche, nor did I want to make people ashamed of talking about my services by blatantly stating "EATING DISORDERS!" My wonderful husband actually came up with "Not Your Average Nutritionist" and we played with Dietitian and Nutritionist for a while. Although I am a "Registered Dietitian" and proudly state that that is a far more valid and necessary credential, many people still call dietitians "nutritionists," and search for that when they are actually seeking a dietitian. So, I am a Registered Dietitian, but all dietitians are "nutritionists." 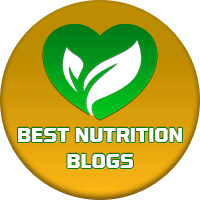 It is important to note that not all nutritionists are dietitians, so do watch for that. If you want more of an explanation why the difference is important check out my other post -HERE. ​What do you think of the new name?